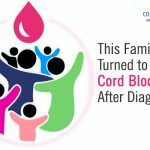 Home > Cord Connect > Cordlife India > Bonding with your baby: Why is it not always instant? Bonding with your baby: Why is it not always instant? The bonding between babies and parents has its journey. The attachment that a child develops towards his/her parents is born out of instincts and everyday togetherness. Out of this bonding is born a sense of belonging towards each other. There are moments when an infant instantly bonds with his/her parents. And there are times when bonding becomes tough. According to a study that was published in 2014, sometimes there’s a chance of every one in four children not bonding with their parents at all. This is undesirable both for parents and their little one. 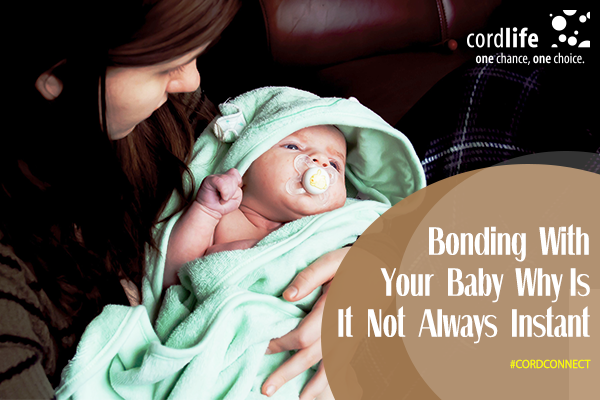 If you and your child haven’t been able to bond well, take heart! Bonding is always not instant. There are many factors influencing it. Mother’s who’ve had a C-section delivery often finds it tough to bond with their child. They aren’t always able to embrace their babies’ right after birth. At times, this is where a psychological gap gets created. Furthermore, babies who are born premature have to spend more time in the intensive care unit. This keeps them away from their mothers and result in a delayed bonding. Usually, fathers too take time to bond with their baby as they don’t nurse the infant as a mother does. Also, they don’t get to share a skin-to-skin closeness with the baby. Since, most fathers are the earning members of the family, they usually spend more time away from the baby. By taking part in simple baby care tasks such as changing the diapers, helping to prepare the baby food, bathe the baby and also spending time comforting the baby, can aid and help in creating a strong bond. The best thing is to be with your little one as much as possible! Start by asking the medical staff to share room with your newborn right after birth. Just in case your baby is kept in the NICU (neonatal intensive care), try to visit your baby as much as you can. Take permission to hold your baby, talk to and sing for your baby. Few new mothers resort to a sling or a baby carrier so that they are able to keep their little ones close to them. Resort to this over a stroller as much as you. Babies love it when they are close to their parents. They feel warm and secured. As your baby grows, try and go out for a walk or grocery shopping with him/her. This will help the little one explore the world with you and help you both to bond better. Start before your little one is born! Accompany your wife to the doctor visits and tests. At times place your hand on your wife’s belly to communicate with your little one, growing inside the womb. When your wife gets the labour pain, be there beside her and do all that you can to help. The moment your new born is home spend time to prepare the room, getting the baby care products arranged, at times feeding the baby and help in other errands as well. However, sometimes either or both parents need to make it to the counsellor or physician’s office when things go awry. For instance, if psychological and emotional factors like detachment or lack of feelings are your concern, then seeking expert help is essential. Sometimes, unreleased and pent up emotions of sadness, fear and dejection block the channel of unconditional parental love. Know that everything is treatable. And know that with time, faith, positive intention and expert medical guidance, you can fight through it all.